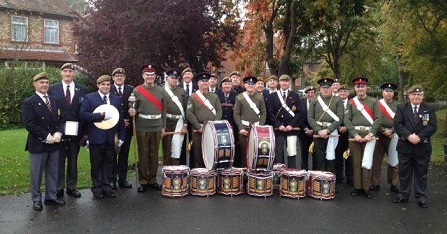 Welcome to the Yorkshire Corps of Drums website, please let me know your comments my temp e-mail address is peterxixtgh@outlook.com, is there anything else you would like to see on the site or to see anything changed please let me know what you think, feel free to browse, not only do we promote our Corps of Drums but others as well, if you would like any information. Have a look at the Music page there is over 6,684 sheets of music enjoy. Also Promoting Army Corps of Drums and Flute Bands. There is 377 marches to listen to, we also have 6,684 pages of music and climbing. There is a NEW Page called Fife Music, (see page above) this is being worked on, There is still a lot to place onto the music page and the Drum and Fife page, If your having any problems press F5 this uploads any new additions which may have been added. I would like to thank all the people for the music you are sending me, If anyone has any march's you would like to see added or recordings I would be happy to place them on the site. Please keep watching there is more to come. Welcome to the website of The Yorkshire Corps of Drums. 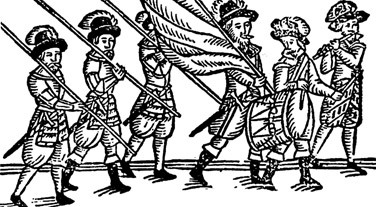 We are a friendly bunch of military and non military drum and flute enthusiasts who enjoy maintaining our military music tradition. We meet once or twice each month at our accommodation in Harewood Barracks in Leeds and undertake a small number local of marching and static engagements each year. We operate in close cooperation with our friends in The Old Coldstream Corps of Drums and support each other for rehearsals and engagements. We also have strong links with other post service corps of drums, The Corps of Drums Society and The Army School of Drumming. New members and guests are always welcome to our Wednesday evening meetings. Men and women aged fifteen years or older (there is no upper age limit), regardless of musical experience are welcome to join us. There are no membership costs, all that is required is a positive, friendly attitude and a willingness to fit in and join in. Our music page and list of suppliers has been developed to be of value to fellow corps of drums and fellow enthusiasts. We would be happy to receive music and related information to add to our site. We hope you enjoy our website and become a regular visitor. A few people have stated that the music sheets are too small when printed, Select the page you want by right clicking on it, then save image as ?? then place the copy into a file so you can find it, then copy it onto a word sheet, once you have done this you can open the sheet like you would a photo, Hope this helps, regards Peter.